Description: StoryTime/Playgroup for the little ones: great stories, simple activities, friendship and song! Description: Celebrate the 100th anniversary of Children's Book Week by reading to your favorite dog book to Caz. Caz is a retired therapy dog who now enjoys fun at the beach and his special 'job' of having children read to him at the Osterville Village Library. Families with children ages 6-12 are invited to drop in. Description: Children ages 8-12 are invited to drop-in to the Children's Room to try their hand at creating comics of their own. Bring your ideas and sketches, we'll provide the materials. Description: All moms love a home-made card. Drop in our Children's Room to make a great Mother's Day card. Back by popular demand! FREE Lecture series presented by Joe Carroll, PT DPT SCS from Cape Cod Rehab. Starts at 11:00am. Come to one or all lectures of interest to complete the series at the Osterville Library! Week 1 focuses on stress. Find out how it can have an impact on your life and talk about strategies to manage stress. The CDC reported that 49.6% of adults ages 65 and older reported doctor-diagnosed arthritis. This week explores how exercise can help ease the symptoms of arthritis and discuss other ways to help when living with arthritis. Learn strategies to prevent falls at home & out in the community along with the importance of incorporating balance exercises into your fitness routine. A strong posture is linked with aging well. This lecture is on posture & how it can affect your balance, core & walking ability along with what you can do to improve and/or maintain your posture. Learn about the Burdenko Method & explore the 6 essential qualities of health & fitness: balance, coordination, flexibility, endurance, speed & stretch. Description: Join Barnstable Land Trust Executive Director Janet Milkman for a conversation on Barnstable Land Trust. Learn about conservation land in the Town – what’s protected and why, water quality in the town, our future goals, and how the community can be involved. Join us to ask questions, hear about Barnstable Land Trust, and add your voice to the conversation. Description: Gary German, PhD will be presenting about recent loss and affording an opportunity to come together and share experiences. Lyme Disease is the most prevalent tick-borne disease in Massachusetts and is now considered to be a public health crisis. In addition to Lyme, deer ticks can carry the pathogens which cause Babesiosis, Anaplasmosis, Relapsing Fever and Powassan virus, all of which can be very serious. This program will review the basic life cycle and ecology of deer, dog and lone star ticks. A three point protection plan will be presented: Protect Yourself, Protect Your Yard and Protect your Pet. Tick-borne diseases are preventable. Description: Join us in the Anne Williams McGraw community Atrium tonight for some fun family games! Even though there are themes, please feel free to play any games the library has! Description: Drop in and try out our STEM kits, use Arts & Craft materials, do stop-motion animation, and play games in our Makerspace. Description: Join Stephen Farrar as he brings you along a presentation of the South Island of New Zealand. Farrar and his wife spent a week circumnavigating the island in a campervan – Mount Cook, the Milford Sound, glaciers, forests, beaches, and sheep. Stunning photos also include Farrar doing the highest bungy jump in the world (at the time) and photos from 5 of the 10 National Parks on the South Island. 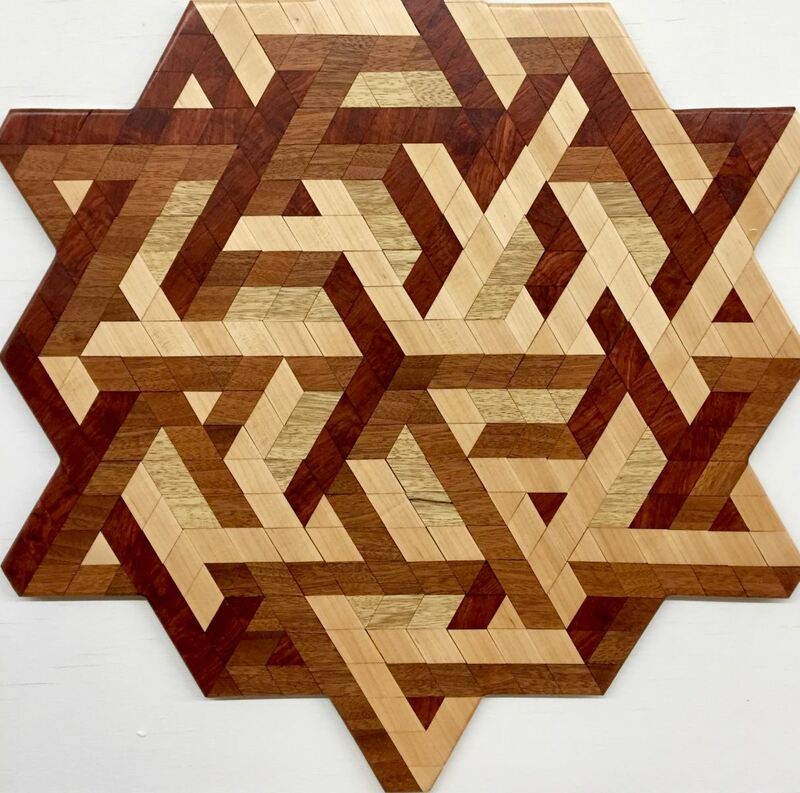 Description: Children ages 5 and up are invited to this hands-on Art workshop -- come view our exhibit of Wood Mosaics by local artist Guile Wood, then work with the artist to make geometric mosaic patterns. Description: What would your Dad like for Father's Day? Drop in our Children's Room to craft a great Father's Day card. Description: Please join us for this really fun night and all for a great cause! No experience needed. All the supplies and the step by step lesson will be provided. We will paint on a 16x20 canvas using acrylic paint. Acrylic paint will not come out of clothing, so please dress accordingly. Led by Blue Anchor Studio. Ticket/Registration Info and what you'll paint is Coming Soon! Description: Join Stephen Farrar as he brings you along a presentation of the Plants in the Parks which makes the case that going to see flora in the US National Parks should rank much higher on priority lists as to what one should go to see in our parks. Join us as we begin our "Universe of Stories" summer reading program for children and teens. Sign up for the Summer program, get a library card, try out some of our Summer activities. Description: Join us at Centerville Public Library for a fun program featuring Trevor the Juggler. Trevor's shows are always full of laughter and amazement -- he can juggle ANYTHING! Program followed by a Four Seas ice cream social on the library patio. Description: Kids ages 7-12 are invited to use our new LEGO Hogwarts Castle to create and film their own Harry Potter-themed stop-motion animation or Green Screen stories. Registration required. More details to come. Description: The Osterville Village Library will be CLOSED for Independence Day. Description: 5 day-week long program runs Monday 8th- Friday 12th, all from 9:00 AM - 3:00 PM. Program description and more details coming soon! Description: Kids ages 5-12 are invited to drop in for some cool outer-space crafts. Details to come. Description: Artists will paint in their locations from 10 AM-2:45 PM. The public is invited to view art and meet artists from 3:30-4:30 PM, followed by an auction with wine and light appetizers. For more information or for artist applications click here. Description: Join us for our 25th Traditional Family Clambake. Last year sold out so don't miss out this year! Boiled Lobster (steak or chicken available if you prefer), corn on the cob, steamers with plenty of melted butter for dunking, a knob of spicy Linguicia sausage, boiled potato, chowder, and special children's menu. More information coming soon. Click here for more information. Description: 5 day-week long program runs Monday 15th- Friday 19th, all from 9:00 AM - 3:00 PM. ​Program description and more details coming soon! Description: Join us for a fun afternoon and make your own seascape creation. You will work with resin on an 11x14 frame. shells, rocks, glass beads, sand, etc. If there is something special you would like to add to your window, bring it along! Pre-Registration Suggested. Description: Join us at this FUNdraiser and you'll be handpainting two Wineglasses! Design them however you'd like - the posted photo is just an example. Keep one and give one to a friend! Give them both as a gift! Or, keep them both for you! Please dress accordingly because paint spills can happen! Ticket Info. Description: Meet at Armstrong-Kelley Park’s Holly Dell (which is on the boardwalk across from Fancy’s past the fish pond) for a free Story Hour. Suitable for 3-6 year olds. The Osterville Village Library Children's Librarian will use the great outdoors as a backdrop for a special book reading. Later, scamper around the Park, ring the bell at Liam’s Train, and kiss Buddy on the Green. Who’s Buddy? You’ll see! One the Library is Cape Cod's Biggest Business Pitch Contest with EforAll under the tent. Like shark tank without the bite. Kick-off concert Under The Tent. The 2018 Concert on the Green Series kicks off the season with the Cape Cod Conservatory Jazz Band. Free admission. 8:00 AM 40th Annual Osterville Village Library Cape Cod 5k Championship Sponsored by Sotheby's International Realty, Inc. Description: 40th Annual Osterville Village Library Cape Cod 5k Championship Sponsored by Sotheby's International Realty, Inc. Description: On the Library Green, The Village Crafters' booths will again this year feature local artists and craftspeople exhibiting work of fine quality. Be sure to stop by after the Road Race and during the Village Day to see their beautiful work! Description: 5 day-week long program runs Monday 22nd- Friday 25th, all from 9:00 AM - 3:00 PM. Description: Meet the man behind the "Pizza Panda" book, hear the story, do a craft. Open to all ages. 6:00 PM - 7:00 PM Summer Concert Series: Sarah Swain and the "Oh, Boys"
Description: Osterville Library Summer Concert Series Presented by Kirkman Trust Fund: Sarah Swain and the "Oh, Boys"
Concert on the Library Green Series-Pack a picnic and lawn chairs; bring the kids, dogs, house guests and neighbors! Concerts are held indoors in the library if it rains. Free admission. Check with the Library for more information. Description: The best time to think ahead to winter sports is when the run is shining and the temps are tropical here on the Cape. Stop upstairs at the Library for our 5th Annual Ski & Stand Up Paddleboard equipment sale! A portion of the proceeds will benefit the Library. Description: 10 day- 2 week long program runs Monday July 29th- Friday August 2nd, and Monday August 5th - Friday 9th, all from 9:00 AM - 3:00 PM. Description: Celebrate Harry's birthday with us! Details to come. 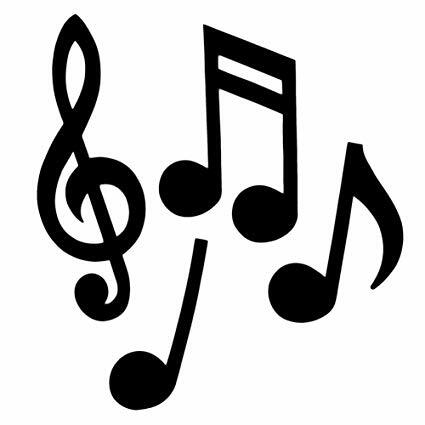 Concert on the Library Green Series-Pack a picnic and lawn chairs; bring the kids, dogs, house guests and neighbors! The Moonlighters are renowned for the rock n' soul hit music. The diverse lead signing styles and fat harmonies from every player (that's right, everybody sings!) truly make this band fun. Description: Join us as for our final Summer Reading program of the season. Details to come. 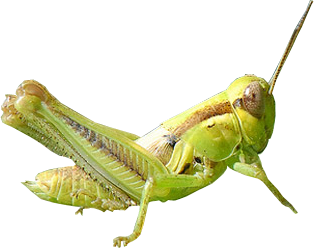 1:00 PM - 2:15 PM Edible Insects, an Introduction to Entomophagy! Description: Insects are part of many diets around the world with the exception of North America and Europe. There are a number of valid reasons to consider rethinking our attitude about insect-based foods including sustainability and nutrition. Don’t be faint of heart for this exciting tour of culinary treats! Want to paint your favorite pet? Join us for this fun class! We provide the step by step direction to paint your pet. All you need to do is email the picture of your pet and we will draw it out on a 16x20 canvas for you. This way, when you arrive to the class, all you need to do is start painting! This class is limited to 10 participants. No experience needed. Description: The Osterville Village Library will be CLOSED for Labor Day Weekend. A charitable bike ride to benefit the Osterville Village Library. Formally the Last Gasp. Check back here as event gets closer for details regarding this event! Description: On the Library Green, The Village Crafters' booths will again this year feature local artists and craftspeople exhibiting work of fine quality. Be sure to stop by to see their beautiful work! Description: Dress them up and parade around town! Prizes and treats included! Description: The Osterville Village Library will be CLOSED for the Thanksgiving Holiday. Description: Kids 7 and over can stay and enjoy books, crafts, movies and fun while parents shop in the village. Registration required. 5:00 PM - 7:00 PM Meets Mrs. Claus! Take time out from your "stroll" to visit the library's Cocoa Station and meet Mrs. Claus. She will be collecting your letters to bring back to Santa at the North Pole! 8:00 AM CLOSED for the Christmas Holiday. Description: The Osterville Village Library will be CLOSED for the Christmas Holiday. Description: The Osterville Village Library will be CLOSED for New Year's Day. Description: Dress up your pooch and win prizes and treats, courtesy of the dog friendly Osterville Library. Join us inside the library after for the Annual Chocolate Fest! 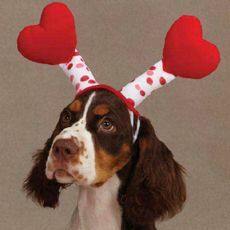 Description: Chocolate Dessert Contest, Children's events, Dog Parade, many "Valentine" events throughout the shops. 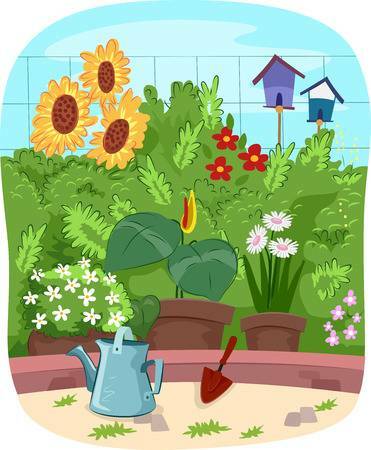 StoryTime/Playgroup for the little ones: great stories, simple activities, friendship and song! Celebrate the 100th anniversary of Children's Book Week by reading to your favorite dog book to Caz. Caz is a retired therapy dog who now enjoys fun at the beach and his special 'job' of having children read to him at the Osterville Village Library. Families with children ages 6-12 are invited to drop in. Children ages 8-12 are invited to drop-in to the Children's Room to try their hand at creating comics of their own. Bring your ideas and sketches, we'll provide the materials. All moms love a home-made card. Drop in our Children's Room to make a great Mother's Day card. Join Barnstable Land Trust Executive Director Janet Milkman for a conversation on Barnstable Land Trust. Learn about conservation land in the Town – what’s protected and why, water quality in the town, our future goals, and how the community can be involved. Join us to ask questions, hear about Barnstable Land Trust, and add your voice to the conversation. Gary German, PhD will be presenting about recent loss and affording an opportunity to come together and share experiences. Join us in the Anne Williams McGraw community Atrium tonight for some fun family games! Even though there are themes, please feel free to play any games the library has! Drop in and try out our STEM kits, use Arts & Craft materials, do stop-motion animation, and play games in our Makerspace. Join Stephen Farrar as he brings you along a presentation of the South Island of New Zealand. Children ages 5 and up are invited to this hands-on Art workshop -- come view our exhibit of Wood Mosaics by local artist Guile Wood, then work with the artist to make geometric mosaic patterns. What would your Dad like for Father's Day? Drop in our Children's Room to craft a great Father's Day card. Please join us for this really fun night and all for a great cause! No experience needed. All the supplies and the step by step lesson will be provided. We will paint on a 16x20 canvas using acrylic paint. Acrylic paint will not come out of clothing, so please dress accordingly. Join Stephen Farrar as he brings you along a presentation of the Plants in the Parks which makes the case that going to see flora in the US National Parks should rank much higher on priority lists as to what one should go to see in our parks. Join us at Centerville Public Library for a fun program featuring Trevor the Juggler. Trevor's shows are always full of laughter and amazement -- he can juggle ANYTHING! Program followed by a Four Seas ice cream social on the library patio. Kids ages 7-12 are invited to use our new LEGO Hogwarts Castle to create and film their own Harry Potter-themed stop-motion animation or Green Screen stories. Registration required. More details to come. The Osterville Village Library will be CLOSED for Independence Day. 5 day-week long program runs Monday 8th- Friday 12th, all from 9:00 AM - 3:00 PM. Kids ages 5-12 are invited to drop in for some cool outer-space crafts. Details to come. Artists will paint in their locations from 10 AM-2:45 PM. The public is invited to view art and meet artists from 3:30-4:30 PM, followed by an auction with wine and light appetizers. Join us for our 25th Traditional Family Clambake. Last year sold out so don't miss out this year! 5 day-week long program runs Monday 15th- Friday 19th, all from 9:00 AM - 3:00 PM. Join us for a fun afternoon and make your own seascape creation. You will work with resin on an 11x14 frame. Join us at this FUNdraiser and you'll be handpainting two Wineglasses! Design them however you'd like - the posted photo is just an example. Keep one and give one to a friend! Give them both as a gift! Or, keep them both for you! Meet at Armstrong-Kelley Park’s Holly Dell (which is on the boardwalk across from Fancy’s past the fish pond) for a free Story Hour. Suitable for 3-6 year olds. The Osterville Village Library Children's Librarian will use the great outdoors as a backdrop for a special book reading. Later, scamper around the Park, ring the bell at Liam’s Train, and kiss Buddy on the Green. Who’s Buddy? You’ll see! On the Library Green, The Village Crafters' booths will again this year feature local artists and craftspeople exhibiting work of fine quality. Be sure to stop by after the Road Race and during the Village Day to see their beautiful work! 5 day-week long program runs Monday 22nd- Friday 25th, all from 9:00 AM - 3:00 PM. Meet the man behind the "Pizza Panda" book, hear the story, do a craft. Open to all ages. Summer Concert Series: Sarah Swain and the "Oh, Boys"
Osterville Library Summer Concert Series Presented by Kirkman Trust Fund: Sarah Swain and the "Oh, Boys"
The best time to think ahead to winter sports is when the run is shining and the temps are tropical here on the Cape. 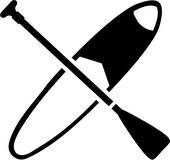 Stop upstairs at the Library for our 5th Annual Ski & Stand Up Paddleboard equipment sale! A portion of the proceeds will benefit the Library. 10 day- 2 week long program runs Monday July 29th- Friday August 2nd, and Monday August 5th - Friday 9th, all from 9:00 AM - 3:00 PM. Celebrate Harry's birthday with us! Details to come. Join us as for our final Summer Reading program of the season. Details to come. Edible Insects, an Introduction to Entomophagy! Insects are part of many diets around the world with the exception of North America and Europe. There are a number of valid reasons to consider rethinking our attitude about insect-based foods including sustainability and nutrition. Don’t be faint of heart for this exciting tour of culinary treats! The Osterville Village Library will be CLOSED for Labor Day Weekend. On the Library Green, The Village Crafters' booths will again this year feature local artists and craftspeople exhibiting work of fine quality. Be sure to stop by to see their beautiful work! Dress them up and parade around town! Prizes and treats included! The Osterville Village Library will be CLOSED for the Thanksgiving Holiday. Kids 7 and over can stay and enjoy books, crafts, movies and fun while parents shop in the village. Registration required. 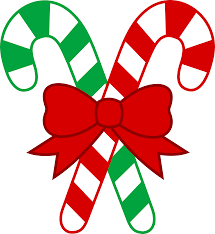 The Osterville Village Library will be CLOSED for the Christmas Holiday. The Osterville Village Library will be CLOSED for New Year's Day. Dress up your pooch and win prizes and treats, courtesy of the dog friendly Osterville Library. Join us inside the library after for the Annual Chocolate Fest! Chocolate Dessert Contest, Children's events, Dog Parade, many "Valentine" events throughout the shops.